Funny story. My absolute favorite holiday of ALL time is Fourth of July. Always has been and always will be. 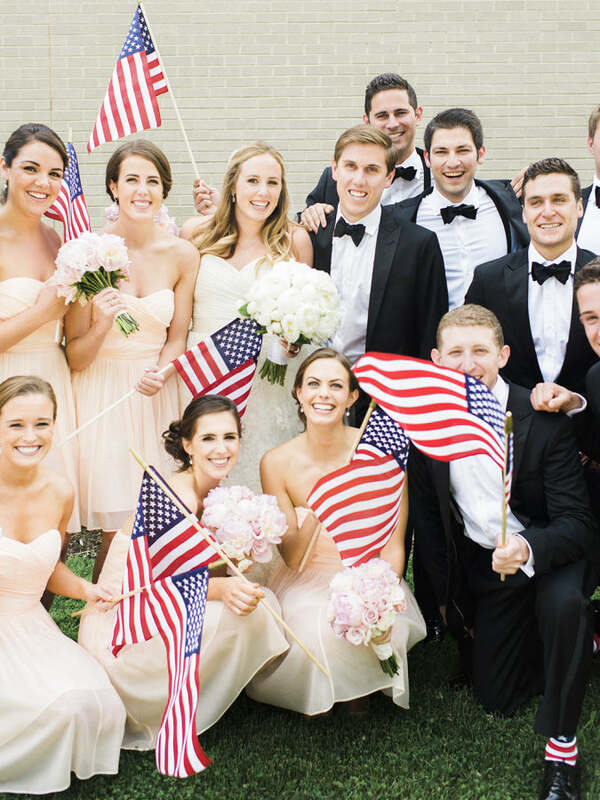 So, naturally when I saw this image circulating on social media and Style Me Pretty, I instantly fell in love with this patriotic-inspired wedding. It was technically on Veterans Day but still, I'm talking OBSESSED. Little did I know I would one day end up hiring this bride! Hello! 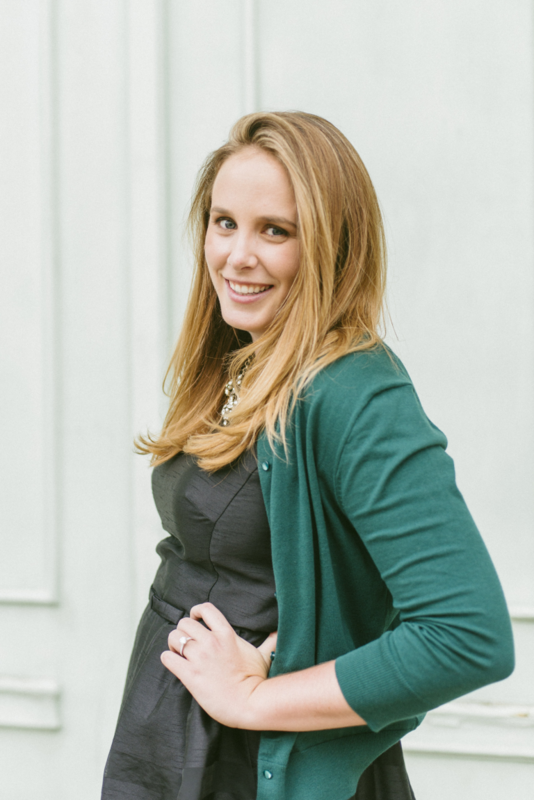 My name is Kelly and I am so excited to be joining the Marigold & Grey team! I am a Maryland native who grew up outside of Baltimore and now lives in Annapolis. I took a quick six year detour up north to attend Boston College where I met my college sweetheart, EJ. We were married in Annapolis in June of 2014 and our lab puppy Red joined our family just a few months later. We live in a little purple cottage in Annapolis and we love exploring our town and spending as much time on the water as we possibly can. What attracted you to the Studio Associate position? I was looking for a position where I could have an immediate and direct impact on growth and the success of the company. When I met Jamie and realized how truly devoted she is to the success of her small business, I knew that I would do anything for the opportunity to help her meet her goals. Before joining Marigold & Grey I was a director of market research serving Fortune 500 companies. My prior role taught me a lot about how to listen to the marketplace and use customer data to drive growth. Combined with my project management experience, I believe my background will allow me to support both Jamie and Katherine so that as a group we can take on all the new and exciting projects Marigold & Grey has in the works! Can I say everything? In all honesty, I am most looking forward to learning from both Jamie and Katherine and really digging into the ins and outs of a rapidly growing small business. Tell us about planning your own wedding. What advice do you have for brides-to-be going through the wedding planning process? Oh my gosh, I absolutely loved planning my own wedding! We got married on the most beautiful June day in my family’s backyard on the Severn River and I wish I could go back and relive that perfect day at least once a week. My advice for brides-to-be going through the planning process would be to soak it all in. It is so easy to get lost in the little details and the stress of planning such a big event. Things will go wrong and there will be hiccups but never, ever forget why you are getting married in the first place. Make sure you take time to date your fiancé, cherish the time spent with family celebrating this season of your life and plan for your marriage, not just your wedding. Will and Kate! And yes, we are obviously on a first name basis. All jokes aside, I love that even though parts of their day were so incredibly public, at the core it was just about two people in love pledging to devote their lives to one another. Oh, and we can’t forget about that dress. Need I say anymore? Any and all Christmas movies! I truly love the holiday season and you can bet that come December 1st I will be queuing up Elf! Stone Harbor, NJ. My family has been going to this idyllic little beach town for generations and it is truly the Jersey Shore’s best kept secret. I have such fond memories of riding bikes into town with my cousins and siblings to get ice cream at Springers or frolicking in the waves for hours long after the lifeguards called it a day. I cannot wait to bring my own family to this special place someday! My college roommates and best friends inspire me everyday. Every single one of them is a driven young woman that is killing it in their industry and career of choice. They are the most amazing women I know and I am so lucky to have them in my life. Reading, decorating and then redecorating our house and researching our next big travel adventure. The best gift I have ever given was a journal that I kept throughout our engagement and then gave to my husband on the morning of our wedding. I wanted to not only document that amazing season in our lives but I was also searching for a way to put the love and excitement I was feeling into words. I love that we can always go back and read that journal to re-live that special time in our lives and see how much our love continues to grow. Please join me in giving Kelly a warm welcome! We're elated to have her on board!